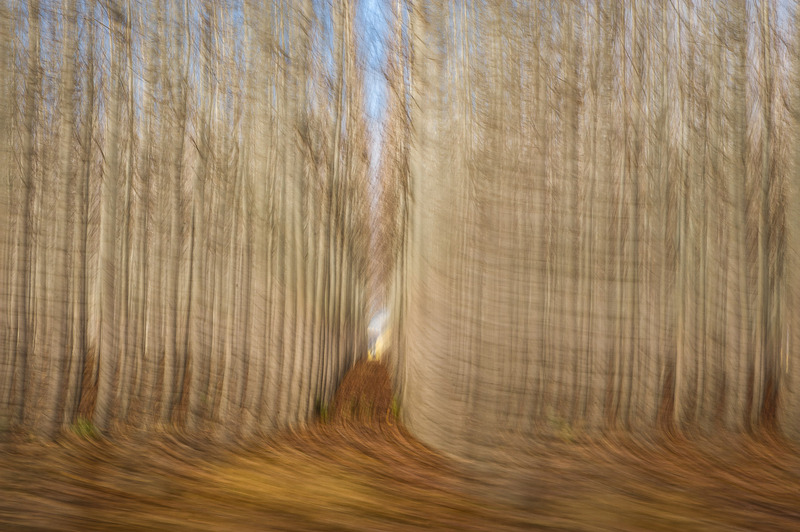 Abstract photo of repetitive poplar trees in late fall. Abstract photo of repetitive poplar trees in late fall with blue sky and movement. Poplar tree farm, Oregon.